Poetry was giving away. . . well, Poetry! 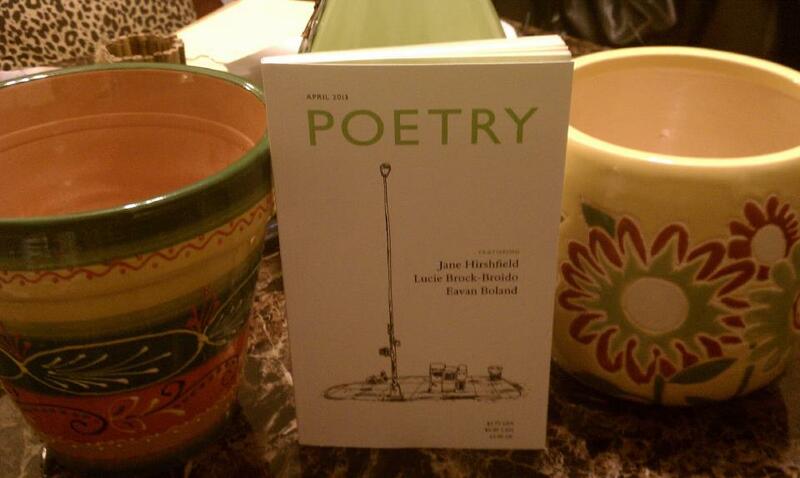 As part of the celebration for the US National Poetry Month Poetry Magazine, published by the Poetry Foundation in Chicago, once again offered copies of April’s edition of Poetry free of charge to reading groups, poetry classes and educational organizations. On the cusp of April I happily discovered the delivery by my door–a box of ten copies for our Poetry Under the Paintings group which meets the second Thursday of each month at Faustina’s Gallery in Lewisburg, Pennsylvania. I’ve passed out a few to members already, and I’m looking forward to our reading some of these out loud. As always, if you happen to find yourself in the center of Penn’s Woods, please stop in and bring a poem or three to read for us. We’d be thrilled to meet you! Breughel’s Icarus, note the tiny legs in the lower right hand corner, the only evidence of Icarus’ fall. What’s really interesting to me about this work is how the traditional description ends up departing from the vision at hand. After all, the photo can speak for itself, and as Elliot said in his list of Don’ts, “remember that the painter can describe a landscape much better than you can.” And I suppose that the same goes for photographers. Not that Elliot wouldn’t invite you to prove him wrong. 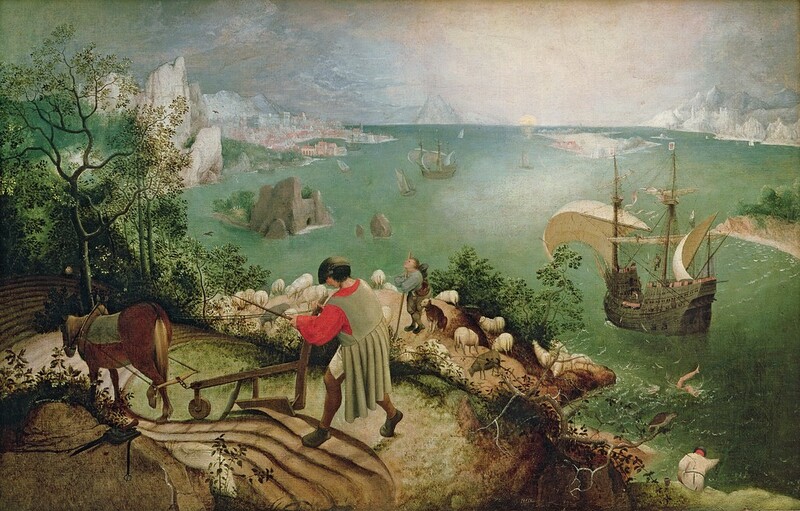 But as W. H. Auden and William Carlos Williams both showed us in their poems about Breughel’s “Icarus,”(click on each poet’s name for the poems) it’s what is behind the picture, or perhaps what is implied by the joining of the picture and the title that really gets a poet’s mind going. The poem and photo are published in this month’s (April, 2013, Volume 202, Number 1) edition of Poetry Magazine by the Poetry Foundation. The text of the poem and photo may be seen online at the Poetry Foundation website by clicking right here. May will be our one year anniversary. Great bunch of people!